Synopsis: No one listens to Solomon’s claim that he has papers proving his status as a free man. Despairing, he plots his escape, only to be foiled at every turn. He is sold to WILLIAM FORD, a kindly mill owner who appreciates Solomon’s thoughtful nature. 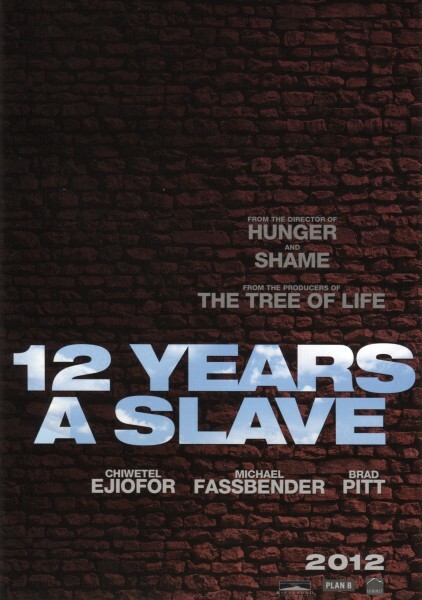 But Ford is forced to sell him to a cruel master who subjects him and other slaves to unspeakable brutality. For years, Solomon nurtures his dreams of returning home. He stashes slips of stolen paper in his fiddle and develops a natural ink with which to write a letter. But when his greatest efforts come to nothing, he realizes just how trapped he is. Even if he could write the letter without being caught, where would he send it? Whom could he trust to deliver it? And will he even survive long enough to be rescued? Meanwhile, last night in Germany, promoting 'A Dangerous Method', Cronenbender! LOL I love the kissing. David loves to kiss his male stars. cant wait for these three films!! I love this! 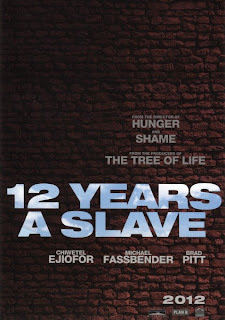 12 years, is going to be awesome. I thought the film would be out in 2014 though. At least that's what imdb said. 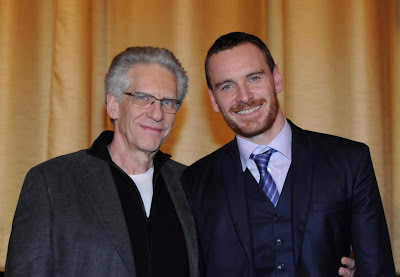 Cronenberg, you lucky man you! God, why couldn't that have been Viggo Mortensen he was kissing?